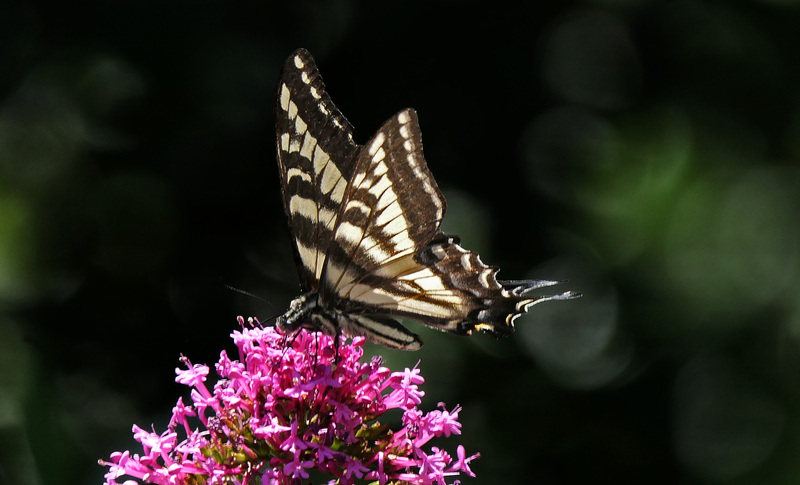 This is a western tiger swallowtail butterfly. They’re pretty common around here, but I didn’t take this in our garden. This is the last of my pictures from my trek to Silverado Canyon a couple of months ago. I should probably go out again. This particular spot, with its shady, distant background, was really great for taking pictures of various flying critters.